This certification course is for database administrators, support engineers, and technical consultants. 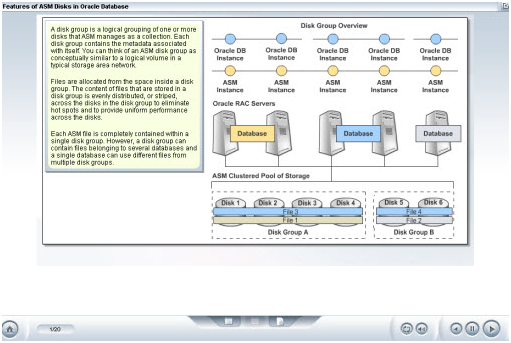 The training covers the skills required for Oracle Database 11g automatic tuning features, including SQL Tuning Advisor, SQL Access Advisor, Automatic Workload Repository and Automatic Database Diagnostic Monitor. When you have achieved the Oracle Database 11g Performance Tuning Certified Expert credential, you will have validated your skills in management, troubleshooting, and performance tuning the Oracle 11g implementation. This includes the configuration of alerts and metrics; tuning I/O, space usage, buffering, and shared pools; troubleshooting SQL statements; and monitoring applications.